New Delhi, February 6: In a big embarrassment for Pakistan, the United Kingdom government has distanced itself from the event organised by Pakistan foreign minister Shah Mehmood Qureshi on Kashmir at the House of Commons. This comes as good news for India as India had expressed to the United Kingdom, through diplomatic channels, its objection to this anti-India event. The UK has categorically told India that the House of Commons event on Tuesday has nothing to do with the government and there is no shift in the UK’s position on Kashmir. The UK also sees the Pakistan foreign minister's visit as a private affair. However, UK will not hold any bilateral meetings with the Pakistan Foreign Minister. Pakistan’s much-hyped Kashmir event turned out to be a damp squib. It is being viewed as a big diplomatic victory for India and a major embarrassment for Pakistan. India has always been firm on its stance when it comes to Kashmir issue. The state of Jammu and Kashmir has been, is and will be an integral part of India. Warning Pakistan to stop interfering in internal matters and disturbing the unity of the country, India has strongly protested on Pakistan Foreign Minister’s telephonic conversation with Hurriyat leader. 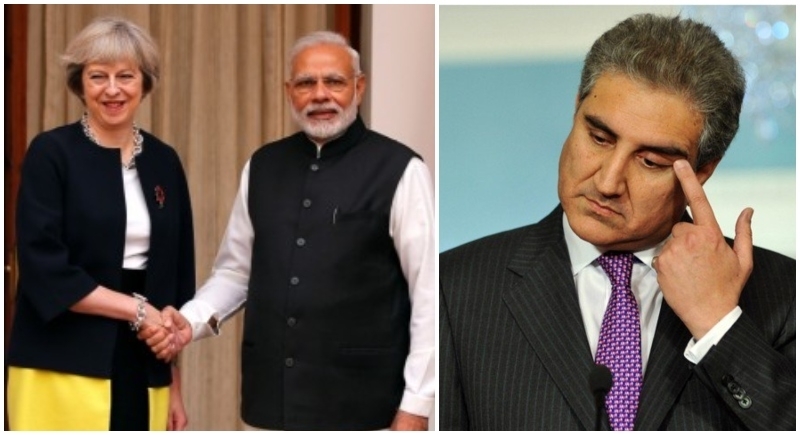 Implying on the same India had “very strongly” taken up with the UK the issue of a conference on Kashmir being allowed to be hosted in London which is scheduled to be addressed by Pakistan Foreign Minister Shah Mahmood Qureshi.